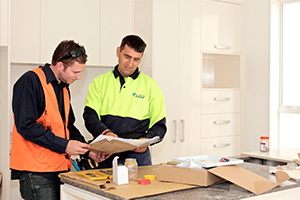 Whether your home improvement plan and renovation is a major job or a small piece of a longer term project, Laser Plumbing Mairangi Bay will work with you from start to finish. We provide 'Totally Dependable' plumbing services for all home renovations, servicing the greater Auckland area including Albany, Mairangi Bay, Takapuna, North Shore and Birkenhead. Our goal is to work with you to minimise the disruption to your everyday life, allowing you to carry on wherever you can. We will complete the work with due care and attention to detail. We know that home renovations, especially kitchen, laundry and bathroom renovations can get very expensive if they are not planned well. Our team at Laser Plumbing Mairangi Bay will take the time to discuss the job in detail, work with you to design the best way to get the job done and coordinate with your architects and builders to help make sure you get your desired results.